Kandahar (Afghanistan) (AFP) – At least a dozen Afghan security forces were killed when a suicide attacker driving an explosives-packed Humvee blew himself up in the southern province of Kandahar, police said Thursday. “Twelve security forces were killed and four others were wounded,” Kandahar police spokesman Zia Durrani told AFP. Durrani said the Taliban attackers had been “defeated”. “The intensity of the blast caused damage to the building and led to casualties,” he said. 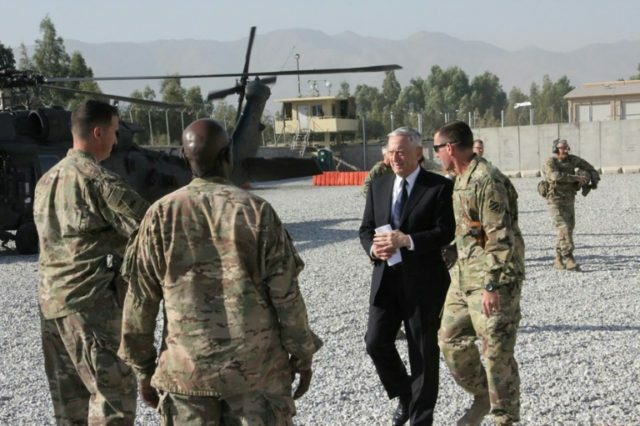 During a high-profile visit by US Defense Secretary Jim Mattis and NATO chief Jens Stoltenberg to the Afghan capital Kabul on Wednesday, insurgents launched a volley of rockets near the city’s international airport.